Goodreads: Hannah Monroe's boyfriend, Matt, is gone. His belongings have disappeared from their house. Every call she ever made to him, every text she ever sent, every photo of him and any sign of him on social media have vanished. It's as though their last four years together never happened. 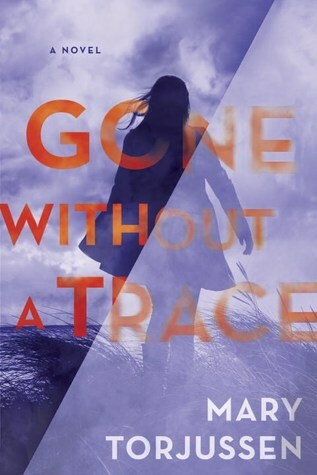 Kritters Thoughts: From the beginning of this book, the reader knows that Matt is gone and "Gone Without a Trace" he has packed up everything from his underwear to his pictures on the wall to his tv. She comes home from a work trip to nothing. The first few chapters I understood that the scene was getting set, but right when I was done hearing about Hannah's wonderment, the story turned and from there to the end, I barely set it down! I loved the idea of someone just completely disappearing and then the idea that Hannah even questioned if she really knew him all that much after clue after clue slowly unravels the truth. After finishing the book I went to read reviews and saw that there were almost two different camps, one who didn't love the reveal and those who loved it. I would say I loved the reveal but agree with the part of that crowd that felt as though post reveal did drag for a bit. This didn't change my enjoyment of the read and I would definitely read the next one from Mary Torjussen.